Today is Friday…………….but Sunday is coming! The following is the Word of God, may we be blessed, encouraged and assured of His great and unconditional Love for us! It was now about the sixth hour, and darkness came over the whole land until the ninth hour, or the sun stopped shining. And the curtain of the temple was torn in two. Jesus called out with a loud voice, “Father, into your hands I commit my spirit.” When he had said this, he breathed his last. What Love our God in Heaven has for us, to give up His Son, so that we may have life! Have a wonderful weekend and I look forward to worshiping with you on Easter Sunday morning! Today is Friday, but Sunday is coming! He is our Risen Savior, the Lord Jesus Christ! This entry was posted in 2008, Easter. Bookmark the permalink. “Today is Friday, but Sunday is a comin’! Today is Friday, but Sunday is a comin’!” . As a kid, I heard a sermon illustration about a well respected black pastor who shared a message with this theme. “Today is Friday, but a Sunday is a comin’!” With his deep and strong raspy voice, full of emotion and passion, he would repeat this over and over throughout his Good Friday message. The atmosphere in the congregation changed throughout his message as well, first with a few quiet “amens” and soonafter “preach it pastor” and “hallelujahs” with hands raised in affirmation! Why? In expectation and anticipation of imagining the point of Easter (and our Christian faith), that on Sunday death is overcome in victory and JESUS IS RISEN! I don’t want to slight what Christ did for us on Friday, in willingly giving His life for us, and in such a gruesome Roman crucifixion. (Does Mel Gibson’s Passion portrayel come to mind for you too?) I DO want us to remember and thank Jesus for His gracious act of atonement for our transgressions, but with this in mind, remember that Sunday is a comin’ too! For God so loved the world that he gave his one and only Son, that whoever believes in him shall not perish but have eternal life! This life is in our living Jesus, who left the grave empty on Sunday morning! Today is Friday, but Sunday is a comin’! Can I get an “amen”? A hallelujah? We don’t have a Good Friday service today at LIFT, but Sunday is a comin’ and we have prepared a special Easter service at our normal time and location (10am at Vorstadt 30, Zug) with the Easter Message shared in three parts throughout songs of worship. We will also have the Lord’s Supper/Communion. I hope you can join us in worship of our Risen Savior! 24:1 On the first day of the week, very early in the morning, the women took the spices they had prepared and went to the tomb. 2 They found the stone rolled away from the tomb, 3 but when they entered, they did not find the body of the Lord Jesus. 4 While they were wondering about this, suddenly two men in clothes that gleamed like lightning stood beside them. 5 In their fright the women bowed down with their faces to the ground, but the men said to them, “Why do you look for the living among the dead? 6 He is not here; he has risen! Remember how he told you, while he was still with you in Galilee: 7’The Son of Man must be delivered into the hands of sinful men, be crucified and on the third day be raised again. '” 8 Then they remembered his words. And to consider the rest of the days of your life too? This entry was posted in 2007, Easter. Bookmark the permalink. Easter is just around the corner. A time to remember what Jesus Christ did for us in giving His life on the cross and rising from the grave that first Easter morning. He paid the ultimate prize and He is a living and personal God! That is Easter! Of course, as Christ-Followers, we should live our faith ALL of the year with thankfulness and joy in Christ, and I am thankful for all of you at LIFT to share this hope in Jesus together as part of His body today, tomorrow, and all the year(s) long! With this in mind, I hope you are encouraged by the following verses from John. 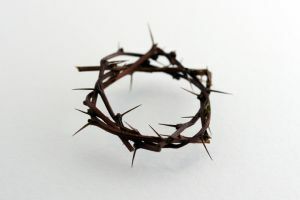 Knowing what was about to come, and after coming into Jerusalam in a joyous celebrative reception of the people (as Palm Sunday is this Sunday), Jesus shows the full extent of his love. He serves His followers in washing their feet, shares the Last Supper and gives His life for them and us today! I am looking forward to sharing Easter with you this year! We are continuing our journey through 1st John this Sunday. We begin chapter 5 and Ken is giving the Message! I hope to see you there. This entry was posted in 2007, Easter, Special occasions. Bookmark the permalink. We hope you can come celebrate our Risen Savior, Jesus Christ as we worship Him through song and word tonight at LIFT! 7:00 pm at Vorstadt 30. This entry was posted in 2006, Easter, Special dates, Special occasions. Bookmark the permalink. Having a day off work on Good Friday and on Easter Monday is something new for me and my family living in Switzerland. On one hand, I appreciate the time off work so I can be at home and do “work” around the house. On the other hand, it’s an official holiday here, which means I can offend my neighbors if I am caught “working” around the house. Furthermore, if I was to make noise with a lawnmower or power trimmer, then I would really be a bad neighbor by disrupting their “peaceful” holiday. Should this bother me that I am restricted in what I can or can’t do on my days off? I’ve thought about this and……….the truth is, I really don’t care. Meaning, whether I work…..or not, offend……or not, or just spend my time worrying about trying to come up with the right answer, I am missing what Easter IS about in the first place. It’s NOT about me, or what I do. Nor is it about being legalistic in religion or culture. It’s about God, His love, His Son, Jesus’ death and resurrection and giving His life so I can have my life! This is profound and this is God’s grace, salvation and perfect plan! We have planned a special LIFT Easter Worship Service on Sunday night at our normal 7 pm time (6:30 fellowship) at Vorstadt 30 using songs of worship throughout the message/service as we take a Journey to the Holy of Holies and understand what Jesus did for us in His death and resurrection in providing us with a personal and intimate relationship with God. After opening the service the children will have their own program upstairs. I hope you can attend and even bring a friend, neighbor or colleague that might be blessed from our worship of God! I close with an insert of something a read on Monday which was an encouragement for me this week to remember what my Lord and Savior, Jesus Christ did for me! Moving in silent desperation: There are places in the world today where the desperation is all but silent, but for a lot of us in America and Europe, this is an accurate description of our lives. We are moving about – we are busy with many things – but we are silently desperate. We may not even know what the desperation is, but no matter, it is still there. We may be financially secure – we may even be believers with lots of faith – but the desperation is still there, because it is part of the human condition. Keeping an eye on the holy land: This is the week many will take notice of what happened in Jerusalem 2,000 years ago. Most people know that Easter is not really about eggs, bunnies, and spring. It’s about remembering the events of a holy week in a holy land. And those events are important, because what happened there is the only thing that can adequately address the silent desperation in everyone’s heart. God came. God conquered. God offers hope because of it. And Christ will return some day in the same way in which he left to take all who believe to an eternal home far removed from any kind of desperation, silent or otherwise. So, best keep an eye on that. Meanwhile, we’ll be keeping an eye all week on what happened in the Holy Land on that most important week in history. This entry was posted in 2006, Celebrations, Easter, Jesus, Live it and Give it!, Special dates, Special occasions. Bookmark the permalink.